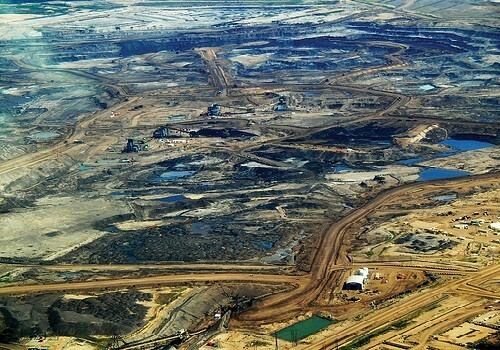 Episode IV: Hollywood Moves to the Tar Sands. Meanwhile in Paris, Vive La Justice Climatique! Our strategy should be not only to confront empire, but to lay siege to it. To deprive it of oxygen. To shame it. To mock it. With our art, our music, our literature, our stubbornness, our joy, our brilliance, our sheer relentlessness—and our ability to tell our own stories. It's an exhilarating time for climate activism. Negative Nancies say we are decades late to the party and birthday boy Barry is bloody ropable. Yet there are promising signs. Organisations like 350.org, Quit Coal and Lock the Gate are making inroads with creative extremist tactics. 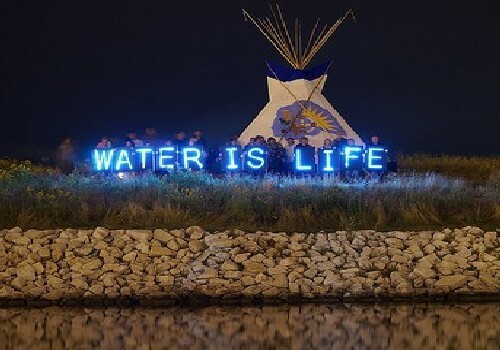 Civil disobedience over Keystone XL has helped delay a decision on the pipeline yet again. Farmers, students, religious leaders and activists are joining forces across Australia in direct actions against coal seam gas projects and expansive new coal mines. The campaign to get millions of citizens and organisations to shift their money away from the fossil fuel industry is also growing quickly. As part of Divestment Day, organised by 350.org and Market Forces, Australians threatened to move $100 million of their savings out of the big banks which lend to this industry. In recent weeks Desmond Tutu and an international alliance of religious groups have publicly backed these divestment efforts. All this is leading somewhere. 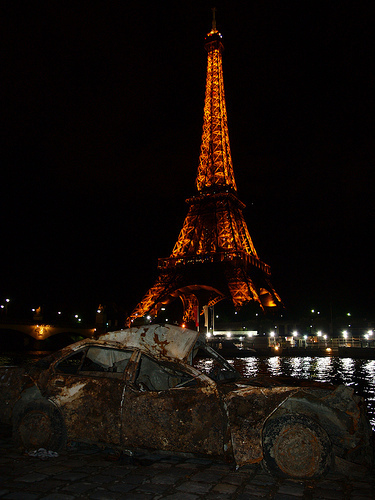 Come December 2015 in Paris, the world’s nations will meet to role play the greatest climate summit failure since Copenhagen 2009. Parties plan to sign an agreement which will not take effect until 2020. This goal is like installing air bags in the wreckage of a crumpled car. The 2020 date is beyond the small window of time we have left to take urgent evasive action before runaway climate impacts kick in. This gives us just 20 months to escalate existing campaigns into a mass movement. Anything less than a legally binding global climate justice treaty, effective immediately, is not good enough. This final episode sketches the motivation, goals, strategy and potential actions of the rising climate justice movement. Climate justice activists have clear and realistic demands, many of which should be included in the 2015 treaty. These ensure a safe climate, but do so with a special focus on marginalised voices: those from the global South, small island states, communities of colour, women, workers, Indigenous peoples and refugees. Among these demands is "clean, renewable, locally controlled and low-impact energy resources". A 100% green energy target is clearer and more positive than the usual measure of emissions reductions compared to 1990 levels. There are many debated paths to a clean energy future. One notable study envisioned 100% renewables by 2030. The second important aim is to deliver a just transition for workers in the shift from fossil fuels to renewable energy. While fossil fueled fear mongering claims the shift would cost jobs, in fact investment in renewable energy jobs creates about 300% more jobs than investment in fossil fuels. We also need to rapidly reduce production and consumption levels to match the Earth's capacity. Since the 1970s the planet has been in ecological overshoot; our annual use of resources exceeds what the Earth can regenerate each year. This depletes the natural life support systems that we depend on. Presently Australians consume roughly 8 global hectares of the Earth’s resources per person, nearly four times the sustainable average of 2 global hectares. Ecological debt is another critical issue. This is the debt of rich nations and corporations to developing nations for biodiversity loss, resource plundering, and other kinds of environmental damage. It includes full compensation for lost land and livelihood for climate change victims, funds to help developing nations adapt to climate impacts, and restoration of entire ecosystems. Climate justice also means resource conservation that protects Indigenous rights to land and self-determination. It would end corporate control over energy, seeds, forests, land and water. The full recognition of the UN Declaration on the Rights of Indigenous Peoples is crucial here. For a 2015 treaty with climate justice at its heart, these are vital considerations. The beautiful thing about climate justice is that we all have a stake in the planet’s future. We are all potential creative extremists on this issue. It speaks to students, teachers, artists, unions, and NGOs, as well as posses, mobs, cliques and cabals. The divestment movement has used this general appeal and targeted communities within schools, universities, workplaces, churches and charities. This tactic is vital for the viral spread of the movement. We can also target four kinds of places to build the pressure for a climate justice treaty. First, we can organise actions for the point of destruction. This is directly where our biosphere and communities are being harmed by fossil fuels. Blockades, occupations, and strikes can bring media focus to these often remote sites. They can temporarily halt destruction, and dramatise the campaign, much like the recent actions at Maules Creek. Retired geophysicst and full-time legend Glen Torr locked himself to a drill, preventing a day's work on the mine. Second, we can intervene at points of production, at oil refineries, coal fired power stations, or even at automotive and aircraft manufacturers. This is the primary battleground for the labour movement. Third, we can act at points of consumption. These are locations for products and services linked to climate change. Retail and financial occupations, consumer boycotts, flashmobs and storefront demonstrations can all connect our consumer habits with climate injustice. Finally, we can strike at the points of decision. These are places where those with the power to fulfill our demands meet, traditionally to f**k the planet six ways from Sunday. Mass demonstrations, occupations, artistic vigils and blockades at parliaments and meetings of political/financial leaders are weapons of choice. With these tools we can create the kind of crisis situation Martin Luther King Jr. described, forcing our leaders to negotiate a universal, legally-binding climate justice treaty. As discussed, several NGOs are running effective climate change campaigns which are fast gaining momentum. Below are a few more ideas to throw into the mix that could help build movement pressure. We can attack on many fronts and show world leaders that "There Is No Alternative" to signing a climate justice treaty in 2015. A nationwide strike of school students, backed by their teachers and parents, would really stoke the fires of the movement. Young people will inherit the Earth, or they’ll inherit skyrocketing temperatures, extreme natural disasters and resource wars. Joining the campaign for a treaty seems worth a few days off trigonometry. Now we just need to convince George Clooney to film Oceans Fourteen in the tar sands so we can face the destructive impacts of capitalism while also watching Brad Pitt’s yummy body. Some of Brad's finest work. Union alliances will be critical to the success of this movement. Mass rallies of striking workers from diverse industries could shock our leaders into action. Imagine tens of thousands of workers converging on mines, factories, banks and parliaments to demand clean energy jobs and a fossil free future. Our actual leaders are rubbish at their jobs, so let’s crack on and save the planet ourselves. We need to show our politicians that they are the people's puppets, not the puppets of fossil fuel companies. Occupying the offices of MPs and holding citizen assemblies inside Parliament House would be powerful. Democratic forums that run at the same time as big meetings, such as the Klimaforum09 alternative to Copenhagen, can also be effective. The New York Leaders Climate Summit this September in New York would be just such an opportunity. Who could think of a more perfect time and place for revolution than Paris 2015? Our creative extremism can culminate with a flurry of actions and such immense movement pressure that the idea of "pulling a Copenhagen" would be inconceivable. There would be no choice for leaders scared about re-election other than to listen to the masses and sign a binding international climate justice treaty. Nothing says revolution like a musical starring Russel Crowe. 350.org Australia, Quit Coal, Lock the Gate, Friends of the Earth Australia, Greenpeace Australia Pacific, The Greens, Oxfam Australia, Indigenous Environmental Network, Rainforest Information Centre, Australian Youth Climate Coalition, Australian Student Environment Network, CounterAct, GetUp!, 100% Renewable Energy, and Climate Action Network Australia. Episode III: Dance, Revolution, Dance!